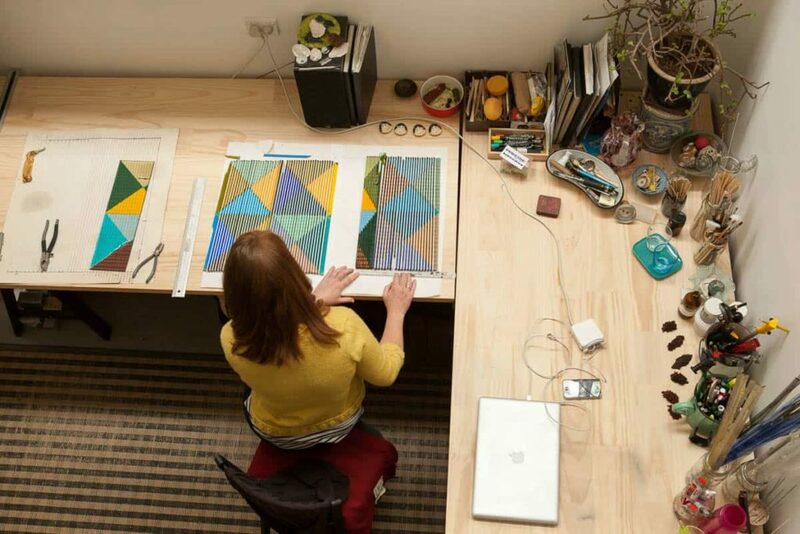 Georgina Cockshott working at 1000 degrees glass studios. Established in March 2013 by Bethany Wheeler, 1000 Degrees Glass Studio is set up as a space for artists and designers to realise their creative concepts. 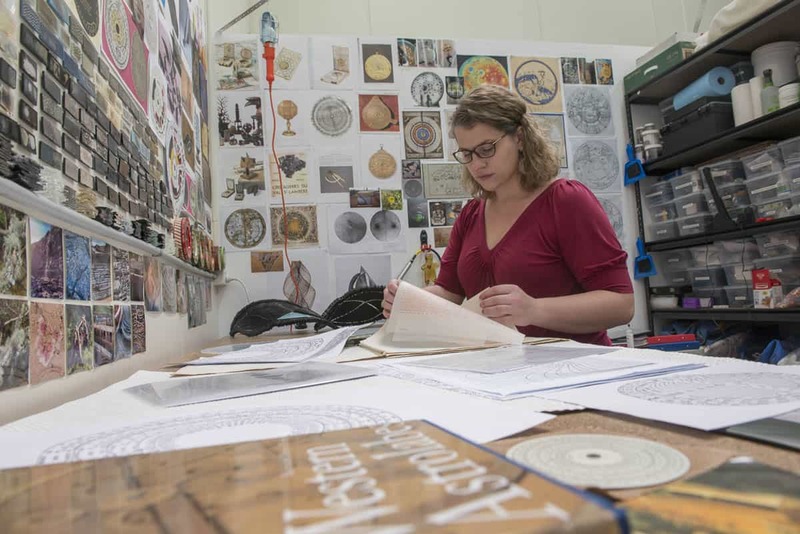 The workshop offers makers the rare opportunity to have their own workshop space within a working studio glass environment, enabling artists to practice their arts’ businesses with direct access to studio equipment. Starting with a 230sqm empty shell, the studio now hosts artists’ spaces, a kiln forming area, sandblasting space, a purpose built cold working and wax/mould making workshop. The workshop can also facilitate lots of functions along with creative production. There is a large communal space that is often used for hosting collectors’ tours, meetings with galleries and clients, photo shoots and packing for exhibitions. A gallery/project space offers room for trialling installs, installations and showcasing new works to visitors. 1000 Degrees Studios are situated on the fringe of industrial Moorabbin within close proximity to glass suppliers, glass blowing workshops, hot rod mechanics, market gardens, the beach and wetlands. 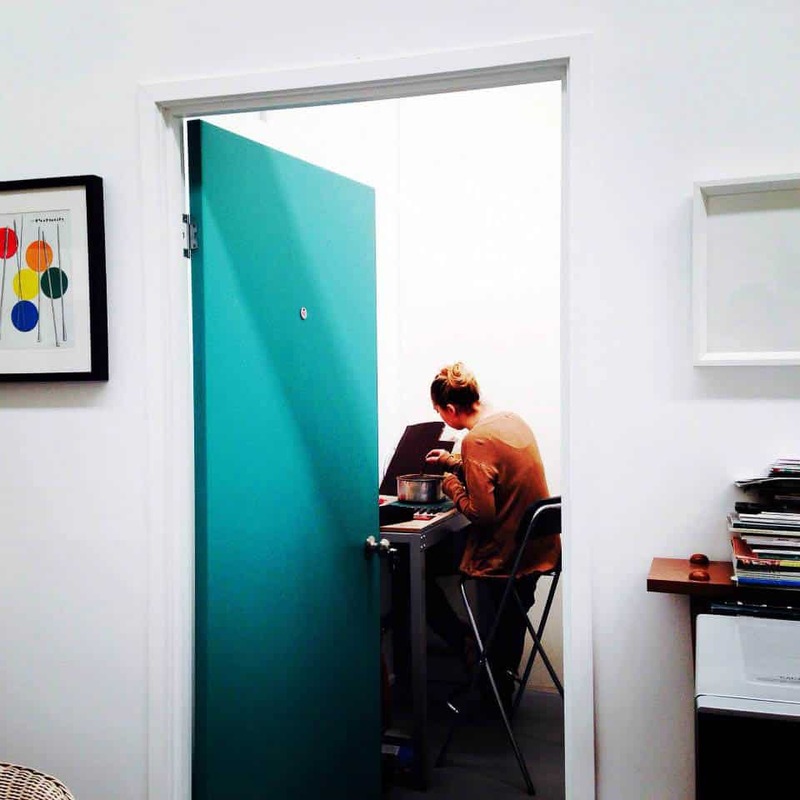 The workshop is available 24 hours to resident artists and by appointment to occasional users. There are up to four resident artists based at 1000 Degrees at any one time, which along with occasional users of the space and equipment creates a vibrant and supportive creative collective. Current resident artists are Lindy McSwan, Jennifer Ashley King and Bethany Wheeler. Since launching, we have had a growing number of artists work from the studio, use its equipment and transform their concepts into glass. Artists include Georgina Cockshott, Ros Harris, Nadia Mercuri, Kirstin Finlayson, Jasmine Targett, Lienors Torres, Lisa Krivitsky, Amanda Dziedzic, Elisha Pilcer, Sarah Field and Marilella McKinley. Bethany Wheeler in her space at 1000 degrees studios. I (Bethany) established 1000 degrees glass studios four years ago this March! The beauty of this workshop is that each day, month and year is different as the studio grows and settles into its foundations, providing a lovely balance—having someone around to bounce an idea off and the quiet of your own studio space. My studio practice is quite broad; I divide my time between making works for exhibitions, craft production lines, corporate/private commissions and working with artists to transform their concepts into glass. Bethany’s work embraces concepts of memory, place and what lies at the end of our perceptions of interior and exterior space. 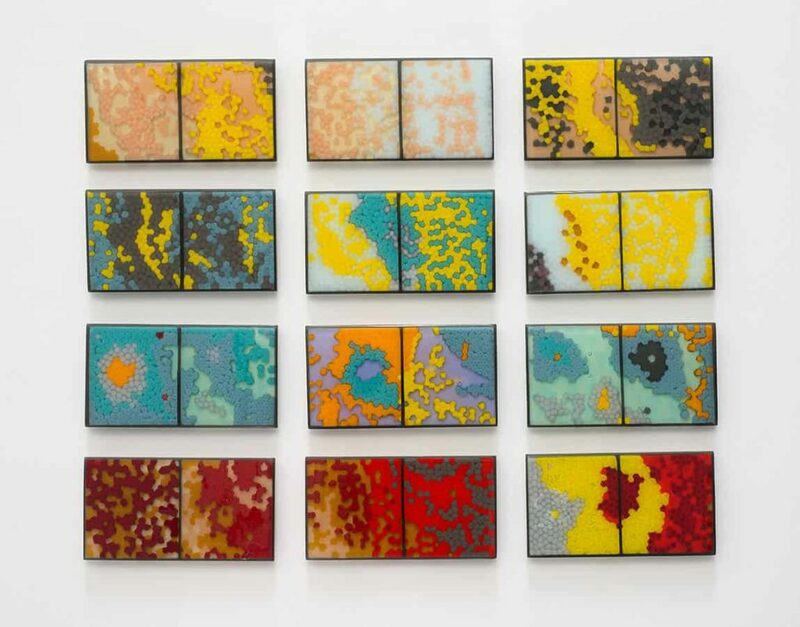 She is particularly drawn to working with glass because we live in vitreous environments; it’s a material that surrounds us in almost every part of life. Glass allows light to fill space, letting objects visually materialise and dematerialise simultaneously whilst describing interior and exterior space. It is charged with fascinating material paradoxes, fragility| solidity, liquid | solid, transparent | translucent | opaque—it is a hybrid that illustrates notions of the human condition and ways of seeing. Jennifer Ashley King has been based at the studio from the beginning, a prolific workshop wall decorator she has transformed her space into a 3D collage! 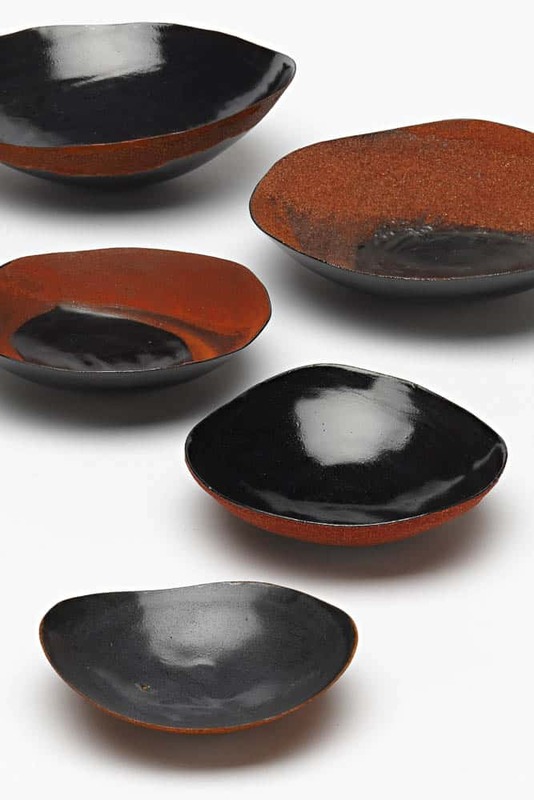 Jen’s practice spans from multi media installations incorporating handmade glass elements and found objects, a production range of fused and slumped glass bowls with fired-on space themed decals and corporate, public and private commissions. 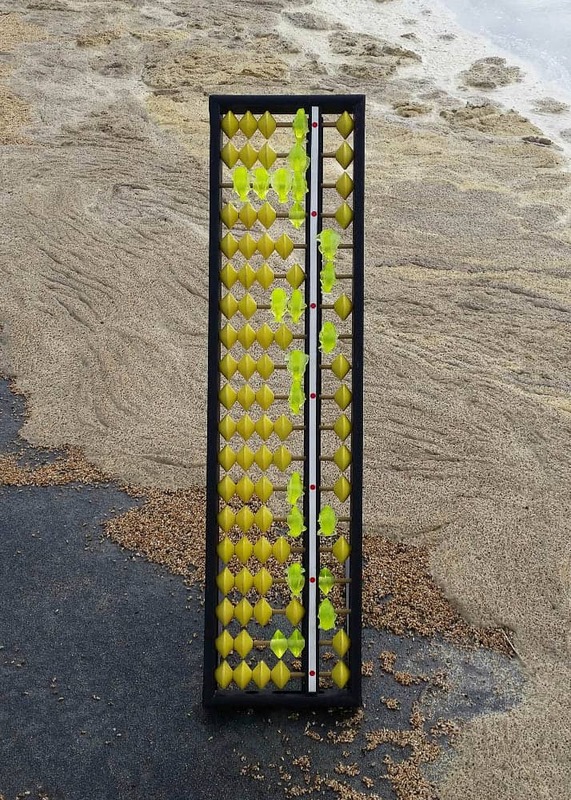 Counting Nuclear Fear, lost wax cast uranium glass and found abacus, photo: Jennifer Ashley King. Jennifer’s work examines methods of measurement of nuclear disasters and threats where radiation is a central theme. Since the middle of the 20th century, nuclear technologies have produced environmental, socioeconomic and geopolitical fears. Her artwork utilises historic and contemporary iconic imagery and objects, and includes ironic references to popular culture that diffuse the reality of the dangers generated by all aspects of nuclear industries. Although established as a glass studio we are not a glass specific workshop; the space and facilities offer possibilities across a number of mediums. In 2015, Lindy McSwan joined us, establishing her independent studio practice by taking up residence at 1000 Degrees Glass Studio. Lindy works in metal, with a sublime approach. Her working processes cross boundaries: she uses our sandblaster to refine the surfaces of her vessels before using the kilns to fire on enamels and heat colour the skins of her works. In late 2017 Lindy will embark on the Bundanon Trust’s Artist-in-Residence program in NSW. Lindy’s practice primarily focuses on the vessel. The process of forming is integral to her work. 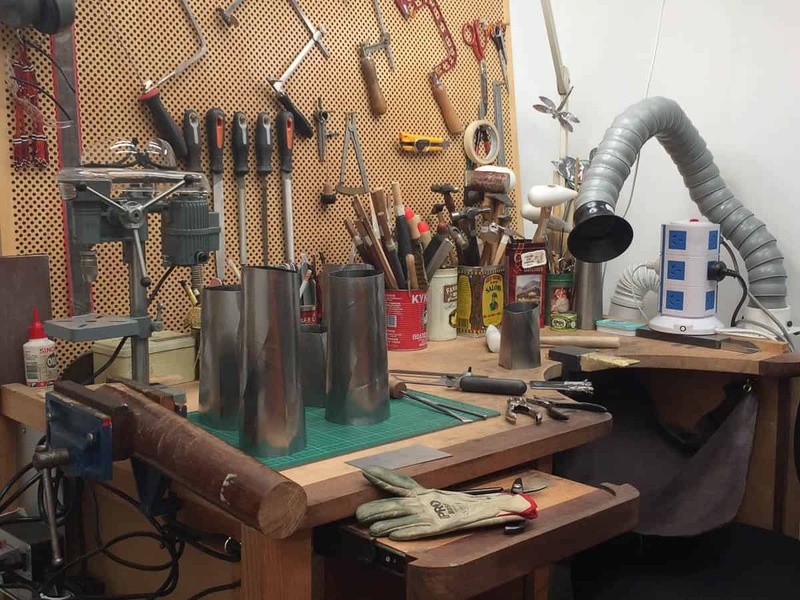 Working outside the conventional silversmithing studio, most of Lindy’s forming is undertaken using equipment traditionally used in panel beating. Collections of mild steel vessels are either enamelled or heat coloured. They reference Lindy’s experience of travel to remote parts of Australia and aesthetics unique to its worn and weathered landscapes. 10 Golden Rules for working together in the studio…..
1. Share…. techniques, knowledge, materials, contacts and snacks. 2. Sprawl out into the communal areas for extra space and perspective when you need to. Make heaps of mess, work in creative chaos and then tidy it up. 3. Share your photography bookings. 4. A watched kiln doesn’t cool down any faster. 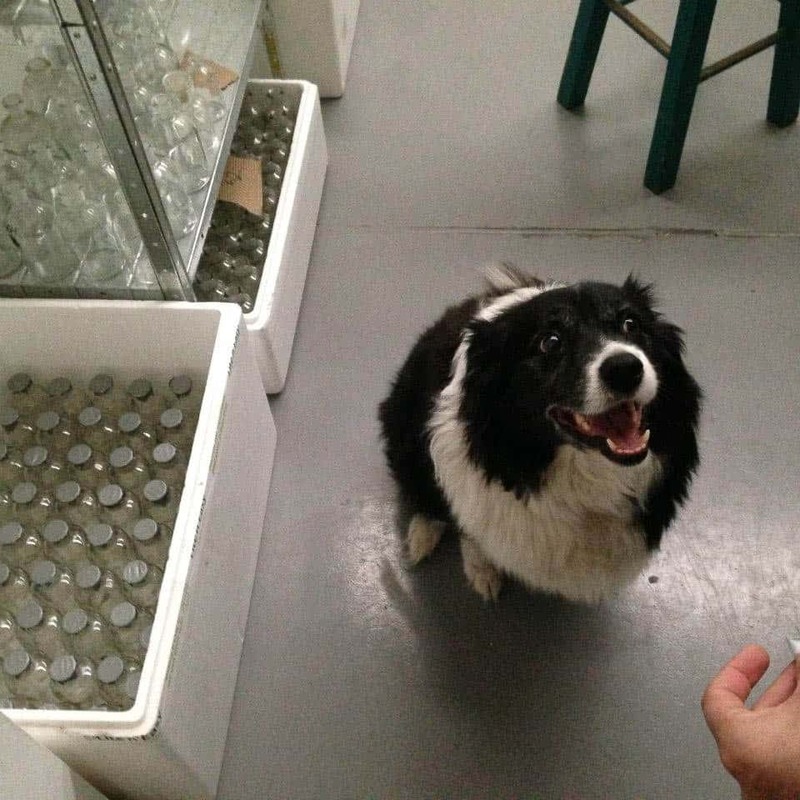 If you can’t be in to unload your kiln the next day someone else is always happy to do it for you. 5. Attend each other’s openings. 6. Water each other’s plants. 7. Use as needed—icy poles in the freezer in summer and hot water bottles in the cupboard in winter. 8. Come together for our annual Studio Sale once a year to celebrate. 9. Coffee in the am and homebrew in the pm. 10. Studio pets are welcome.